Can your genes make it hard to lose weight? If so, what can you do to overcome it? Dr. Felicia Stoler, the host of TLC's Honey We're Killing the Kids, answers these questions and provides healthy eating tips in an exclusive interview. Dr. Felicia D. Stoler, DCN, MS, RD, FACSM, is registered dietician, exercise physiologist and consultant for nutrition and fitness. She is best known as the nutrition expert on TLC's Honey We're Killing the Kids. 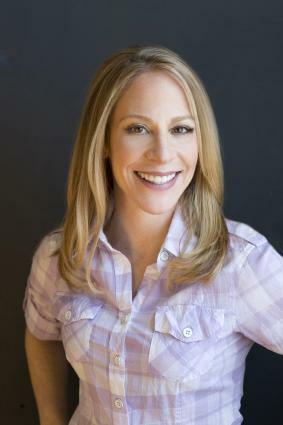 She is also the author of the healthy living book, Living Skinny in Fat Genes. 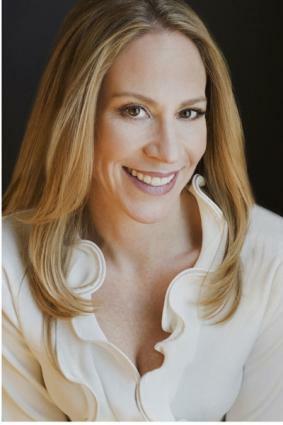 She has a private practice in New Jersey and offers online counseling. Dr. Stoler believes you don't need to cut out food groups or follow restrictive diets to lose weight and stay healthy. 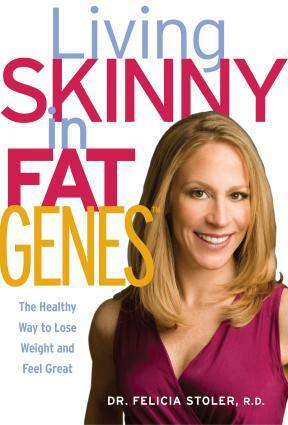 LoveToKnow (LTK): In your new book, Living Skinny in Fat Genes, you talk about how people can overcome their genetics to lose weight. Please explain how genetics play a role in weight gain and difficulties with weight loss. Dr. Felicia Stoler (Stoler): The point of this statement is that people shouldn't feel hopeless if their parents and/or siblings are overweight. Weight gain and loss is about the law of physics and energy balance. For most of us, barring a metabolic disorder, this is learned: portions, food choices, physical activity, etc. Genetics influence our potential for bone density and muscle mass. Fat storage capability is infinite. LTK: Can people really eat all types of food and still lose weight? Stoler: People can eat a variety of foods and lose weight (vs. eliminating food groups); however, the key is variety (from all the food groups), portion control and balancing it out with daily physical activity. Eating plenty of foods from the ground up is important: whole grains, fruits, vegetables, skim or fat-free dairy, lean meats, nuts, and even eggs can be part of a healthy weight loss regimen - and just good eating habits. I find that portion distortion is the greatest challenge for more people. Stoler: Our bodies require carbohydrates for fuel. We can only store about six hours' worth in our body - so just like gas in a car, it needs to be replenished constantly. 50% of our calories should come from carbohydrates: whole grains, fruits, vegetables, and dairy products. People have to worry about eating too many calories overall - not just carbs. Many people forget that many beverages contain calories (& often empty calories). LTK: Could you share some tips on how to avoid eating fast food ? Plan ahead and stock your pantry with easy to use ingredients (canned/frozen veggies, quick cook rice & pasta). Buy prepared foods (like shredded cheese, cooked chicken strips, bagged/washed lettuce). Batch cook; freeze soups, stews, etc., and eat leftovers. Prepare meals that pack a variety in one dish. If you must eat fast food, there are better options: salads, baked potatoes, fruits, yogurt, eat a small burger and fries, and drink water. LTK: When people are tempted to snack on things like chips or cookies, what are some healthy alternatives that are just as satisfying? Stoler: I say, eat 'em up! Just choose wisely. There are many brands that make cookies and "healthier chips"; the challenges is sticking to the portion. Pretzels and whole grain crackers make great snacks. Just choose healthy dips. LTK: What are your recommendations for busy people who eat out regularly to make healthy food choices? Stoler: My book has many great tips for Grab' n Go foods. My first suggestion is to not get so over-hungry that your "eyes are bigger than your stomach." Go easy on the alcohol & calorie-laden beverages. Order soup & salad in lieu of a full meal (order on extra appetizer as an entrée). Order all dressings & sauces on the side. Order a meal as if you were eating at home. Move bread or chips to the other side of the table (if you are tempted to over-indulge). Avoid buffets or value meals (it's really not about the value but the calories). Dr. Stoler's advice can help the whole family eat healthy. LTK: On the TLC show, Honey We're Killing the Kids, you provide counseling to families on how to feed the entire family healthy foods and help kids develop good eating habits. How can parents encourage kids who are picky eaters to eat healthy? Stoler: Be patient and remind your children to keep trying foods - even it if it's "just one bite." It can take upwards of 20 exposures to foods before kids may accept a new food. Remind them that they had to try, what is now their favorite foods, a number of times before they liked it. Try to keep ingredients and flavors simple. Note that some children prefer veggies cooked or raw. Include kids in the cooking process. Let them pick out a recipe (with some guidance) and participate in the grocery shopping and preparation. If you have more than one child, let each child have the choice for the menu on separate days. Take note of textures and flavors. As children age, they will be more accepting of various changes. Provide a variety, and try to ensure your kids are getting something from each food group every day. Avoid junk food for snacks right before meals, and only have water or skim milk at meals. Layer your favorite flavor of 0% Fat Greek Yogurt (or vanilla - most kids don't like plain) with cut up fruit or berries, and top with Kellogg's All Bran Fiber Buds (in lieu of high cal granola). These are super easy to make. You can even make them on the BBQ over the summer (wrap each potato in foil). This recipe takes baking potatoes (any type - just not small potatoes), but you can also use red skin or white skin potatoes (one/person). Place each potato between the handle of two wooden spoons (or chop sticks). Carefully cut with a sharp knife, into the potato. Make additional cuts ¼ inch (or smaller) apart. Brush w/olive oil and sprinkle with salt. You may take dried garlic slices or fresh cloves and place in each slit (optional). Bake for one hour in the oven. I prefer to put on top of parchment, so it doesn't stick). Baste with the oil during the hour. You may add herbs to taste. Take one large head of cauliflower, and cut it into small pieces. Preheat the oven to 450 degrees. Coat the cauliflower with the oil and seasonings. Place on a baking sheet that is lined with parchment paper. Cook for 30 minutes. Turning the mixture one or two times during the baking process. Note: the cauliflower does reduce in volume during the cooking. To learn more about Dr. Stoler, visit her website. There, she offers more information on her services and book.